At the end of the day, Union Health is about people. Learn about people whose lives have been changed by the experiences at Union, both patients and volunteers. Ethan and Owen are just two who have benefited from donor- funded equipment in Union’s NICU. In 2014, Union’s NICU cared for 510 babies. Union Hospital's Level III NICU is the most comprehensive neonatal care provider in a 70-mile radius. 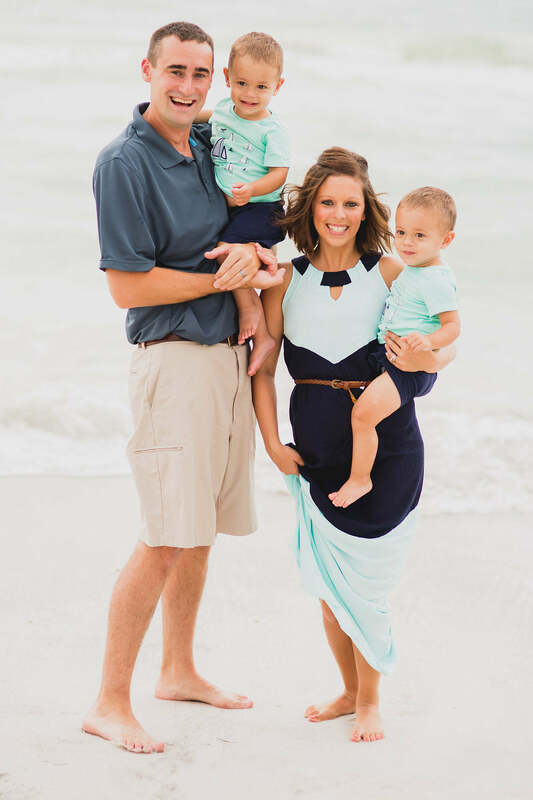 When my husband and I found out I was pregnant with twins, it was one of the happiest moments of our lives. We immediately started making plans for a nursery and pictured ourselves holding, squeezing and kissing two chubby baby boys. I think it’s only natural to assume that if you take care of yourself and follow all of your doctor’s advice, you will have a healthy pregnancy and everything will go as planned. So, when I went into labor at only 25 weeks, I was shocked, and our family was scared. I was admitted to Union Hospital, where my doctor and nurses were able to stop my labor, but I had to stay at the hospital on bed rest for the remainder of my pregnancy. Then, on November 23, 2013, at just 29 weeks and 4 days of gestation, I gave birth to our two sons, Ethan James and Owen Zachary. Both were just a little over three pounds, and with their delivery being 11 weeks premature, chances were borderline for their survival. I can’t begin to describe the utter despair and fear I experienced during this time. This was not the pregnancy and delivery my husband and I had envisioned. Our precious boys were fighting for their lives, and we felt helpless. 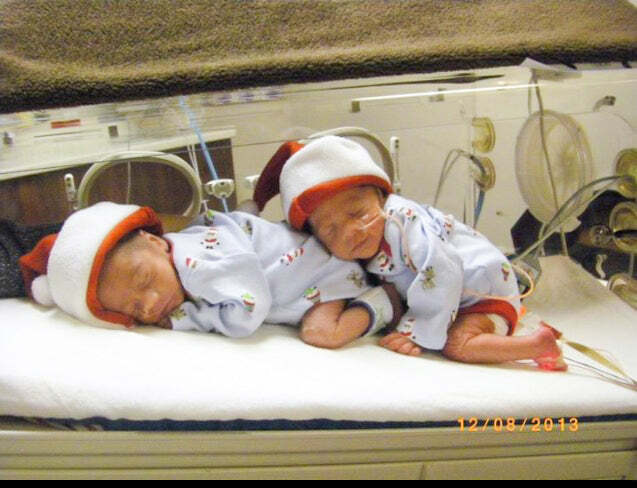 Ethan and Owen were admitted into the Neonatal Intensive Care Unit (NICU) at Union Hospital. They had undeveloped respiratory systems, low body weight and were severely jaundiced. Going in the NICU and seeing their tiny bodies hooked up to all of the machines was frightening. However, the doctors and the nurses helped make the experience as positive and uplifting as possible. They set goals for our family and educated us on everything being done to care for our sons. Because of their condition, we were unable to hold them for the first few days of their lives. So one of our earliest goals was to achieve skin-to-skin contact. We took it day by day. It was constant touch and go. You take six steps forward and then two steps back. But the staff was there with us every step of the way, providing support, comfort, encouragement, and most of all, hope. After 50 long and intense days, Ethan and Owen were healthy enough to come home. And now, I am overjoyed to say that we just celebrated their second birthdays. They are strong, active and healthy! My husband and I are so grateful that God blessed us with twin boys. We are thankful for the remarkable and extraordinary care they received at Union Hospital and grateful that we were able to stay in our own community for their care. The NICU equipment that our sons relied on for their survival and healing was funded by donors of the Union Hospital Foundation; and we are forever thankful to those donors. If you’ve ever wondered if your donation makes a difference – it has. If you ever wonder if your donation can help – it does. My family is living proof of how giving to Union Hospital Foundation can change lives. I was only 42 years old when I had my first heart attack. It was May 2003; I was sparring with my son. I had participated in Tae Kwon Do for four years, and I knew the exertion level. But on that day, I just couldn’t get enough air to do it. I had a burning feeling. After about 20 minutes, I couldn’t exercise at all. I broke out in a cold sweat and grew dizzy as numbness shot down both of my arms. I went for the door and collapsed. I learned later it was caused by severe blockage in a major artery – the one they call the widow-maker. Luckily, I survived. A few weeks later I entered the cardiac rehab program at Union Hospital. There, the staff provided education and guidance and cleared up my misconceptions. I couldn’t imagine that I would ever suffer a heart attack; I was average weight, a non-smoker and routinely exercised. But, I couldn’t deny my genes. My father had a history of heart disease, and it was clear I needed to work on my own heart health. I followed my rehab program for seven years. Then, life got in the way. I became a workaholic. A subsequent knee operation slowed me down, and I put on extra weight. As the memory of my heart attack faded, I relaxed and my healthy eating habits slipped. My cardiologist told me I needed another nuclear test to check on my heart, but I had a high deductible insurance plan, and I wasn’t experiencing any symptoms. So, I put it off. On July 18, 2015, I suffered my second heart attack. It was one of those high heat index days, and I was doing strenuous yard work. After about four hours, I went inside, thinking it was just heat exhaustion. I drank water, ate a banana for potassium, and popped a nitro pill and chewed an aspirin. Eventually, I called my nephew, a paramedic, and he decided to take me to Union. We had just pulled onto US 40 leaving Brazil when I went into full heart attack mode. As the pain increased to the point of excruciating, I thought, this is the end. I kept thinking about how I would never lay eyes on my newest grandson born just a few weeks ago out of state. I was dying. I made it to Union Hospital’s ER, and within 53 minutes was in the cath lab. This time I had 100% blockage in the widow-maker. The blockage occurred directly in front of the stent from my first attack. I survived... again. Nine days later, I started cardiac rehab at Union Hospital. I received literature clearly explaining how to improve my heart health. There, the rehab staff monitors my heart and vital signs during exercise so I can push myself without the anxiety or fear of another attack. Since starting the program, I’ve lost 15 pounds, eat a healthy diet with limited carbs and stay away from refined sugar. I feel great again. Physically, I can do what I want and I attribute that to my rehab at Union. Every day I drive from Brazil to Union where my therapists encourage me and hold me accountable. I’ve thanked the people at Union who saved my life. I will continue thanking them as we work on my path to a healthy heart. What I haven’t had the opportunity to do is express my gratitude to Union Hospital Foundation’s donors. Through your donations, the Foundation funded some lifesaving equipment allowing the ER to communicate with the ambulance while in transit. This equipment helped the ER doctors know what was happening so they were prepared when I arrived. The equipment saves precious minutes and helped save my life. Because I survived, I did get to meet my newest grandson, Rowan, and I will celebrate my 32nd wedding anniversary with my wife, Karla.